A data-driven, multichannel marketing approach is key to driving sales as a better understanding of customer interactions with your brand empowers you to optimize customer touchpoints and deliver the relevant message, which in turn, ensures the customers engage with your brand while they switch channels. The use of multiple marketing channels also helps you gain a better read on how your campaigns are performing, making sure you spend your marketing dollars efficiently. A multichannel marketing approach is critical to the success of any marketing plan as customers today use several channels to access products and services and often switch channels after a single transaction. The client, a leading US-based sports brand approached Quantzig to leverage its expertise in marketing analytics to transform their marketing channel strategy. By deploying a multichannel marketing strategy, the client wanted to glean insights into customer perceptions and better understand marketing attribution in order to avoid cart abandonment. Furthermore, they were looking at stabilizing sales during the phase-out of its sales force while still maintaining a share of voice. The client believed that by incorporating a new cross channel marketing strategy they would be better positioned to identify white spaces or unchartered territories to drive continuous responsive behaviors. Guided by analytics, businesses should explore cross channel marketing and deploy new multichannel marketing strategies to promote their services and product offerings. Request a FREE proposal to know more. Quantzig’s marketing analytics experts offered an intelligent, integrated multichannel marketing solution that focused on combining multiple channel data streams to maximize the return on investment from specific customer groups and reduce the rate of cart abandonment. Apart from offering a seamless, consistent experience for their prospects the multichannel marketing strategy enabled the client to improve the customer experience, create targeted messaging, attribute revenue to specific marketing campaigns, and boost the overall MROI. By using a better multichannel marketing strategy the client was able to focus their marketing dollars on specific segments, which in turn, helped them recover nearly 10% of abandoned cart revenue and increase order value from these abandoned carts by over 20%. Schedule a FREE demo right away! 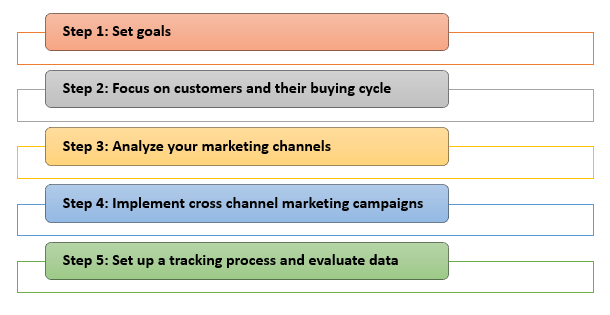 How to Create an Effective Multichannel Marketing Strategy? Quantzig is a leading analytics solutions provider that is well-known for assisting clients across the globe to leverage advanced analytics for prudent decision making. We recognize the importance of analytics in today’s complex market scenario, but we also understand the necessity of finding realistic, efficient ways to enhance return on marketing spend. This is why we help our clients develop robust multichannel marketing strategies to drive MROI and reduce marketing spend. Want in-depth insights? Fill out the form below and our marketing analytics experts will get back to you.